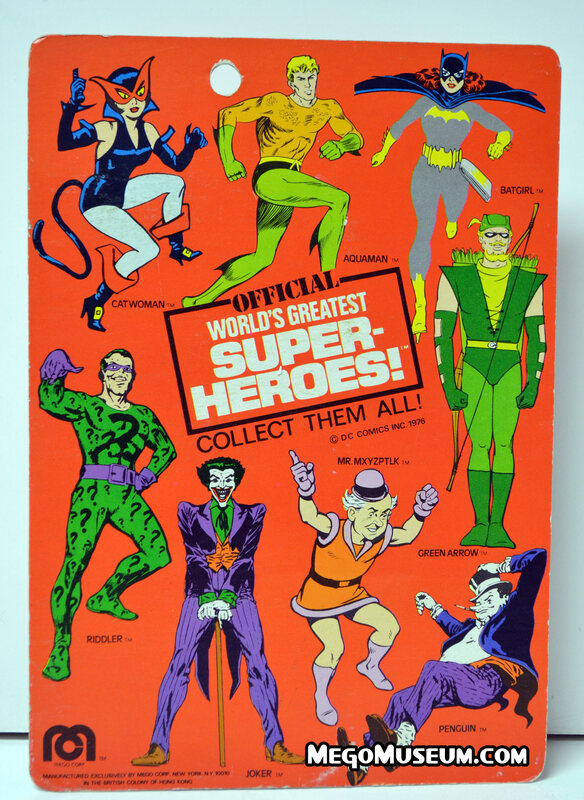 received an action figure before main Superman rival, Lex Luthor. character. 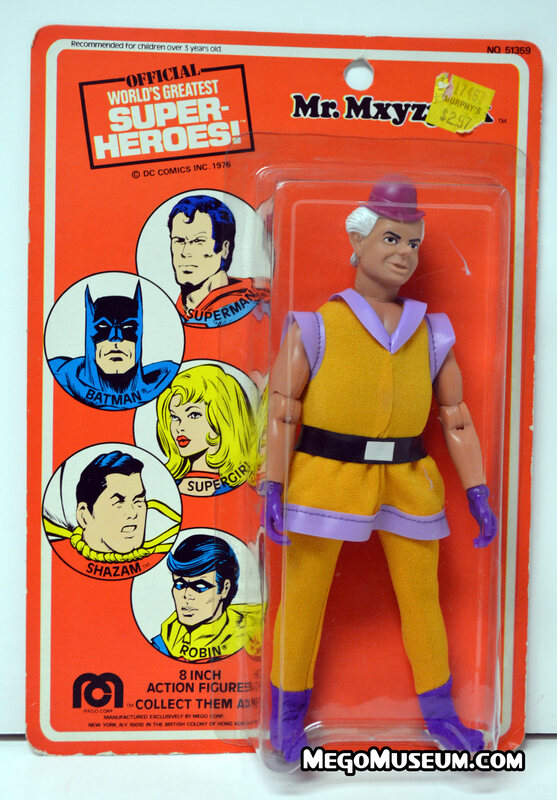 It wasn’t until ’74 that Lex received his more “toyetic” attire. 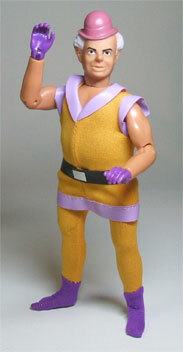 the smirking head sculpt and asking Mego to redo it. 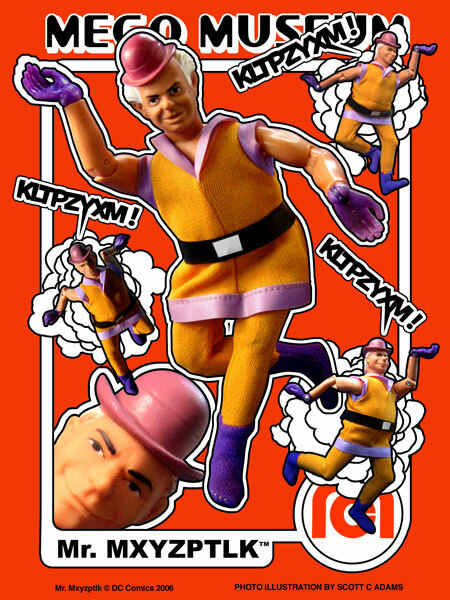 Like the Window Boxes, both variations of head sculpt came on the Kresge card as well. 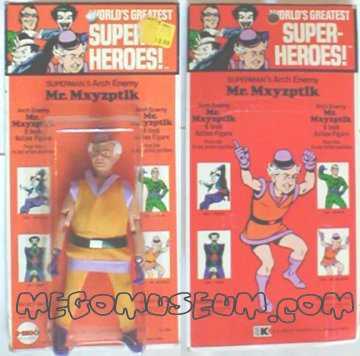 Mr. Myx was also available on card for a limited time, he was cut from the roster with The Riddler. 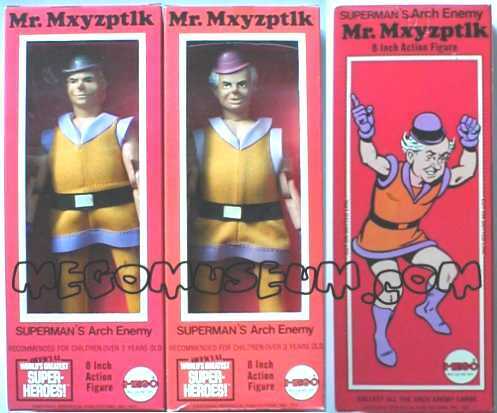 Type 2 Mr Myx’s are tougher to find, he is most commonly found on a Type 1. This photo is courtesy of Heroes West Coast, click on the link to see what goodies they have available right now. The Mexican version of Senior Mxyzptlk. Scans courtesy Lou Melograna. 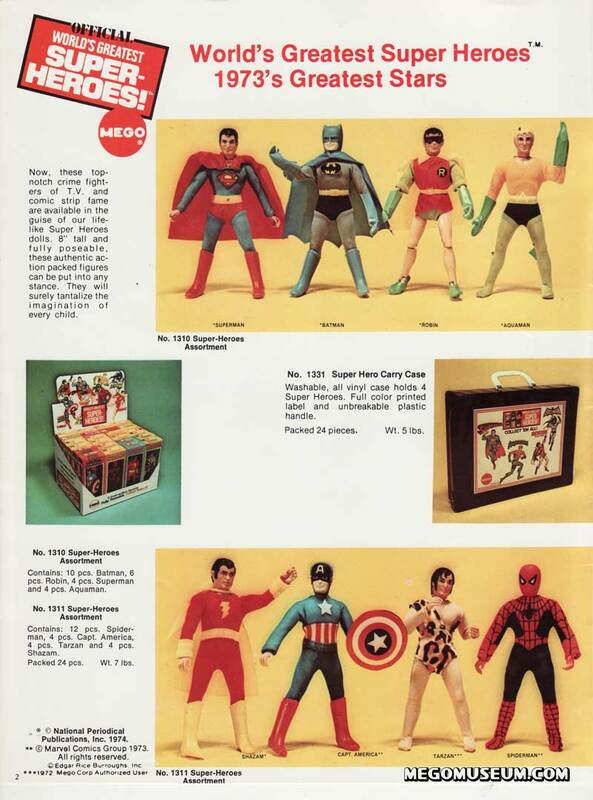 They are not bootleg Megos, as the licensing information from Mego is clearly marked. 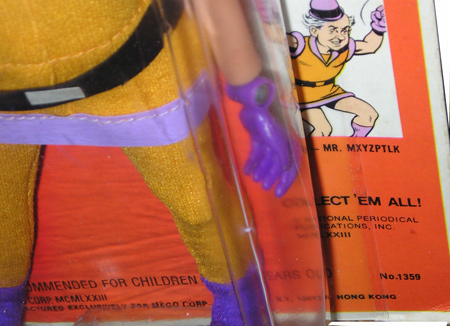 It is very interesting that the figure wears boots never featured on any other Myxie. You can also see from the scan that a blue hue is used on the hat. The box is flimsy and the bowing you see is due to the whole thing being shrink-wrapped. 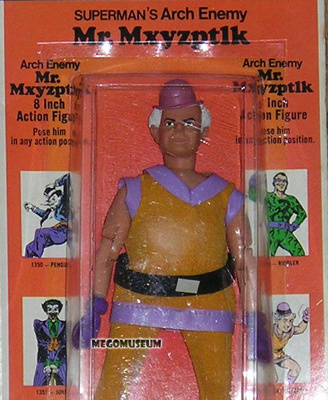 No factory made replacements have been made of Mr. Mxyzptlk’s belt sticker, but it’s a simple white sticker cut in the shape of a rectangle. 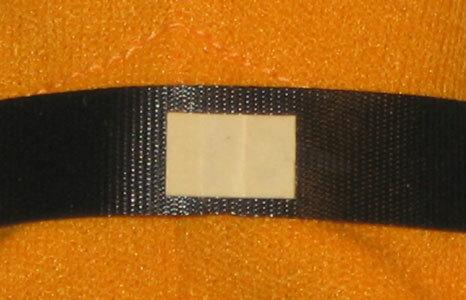 If made the right size and shape, it is very difficult to spot.